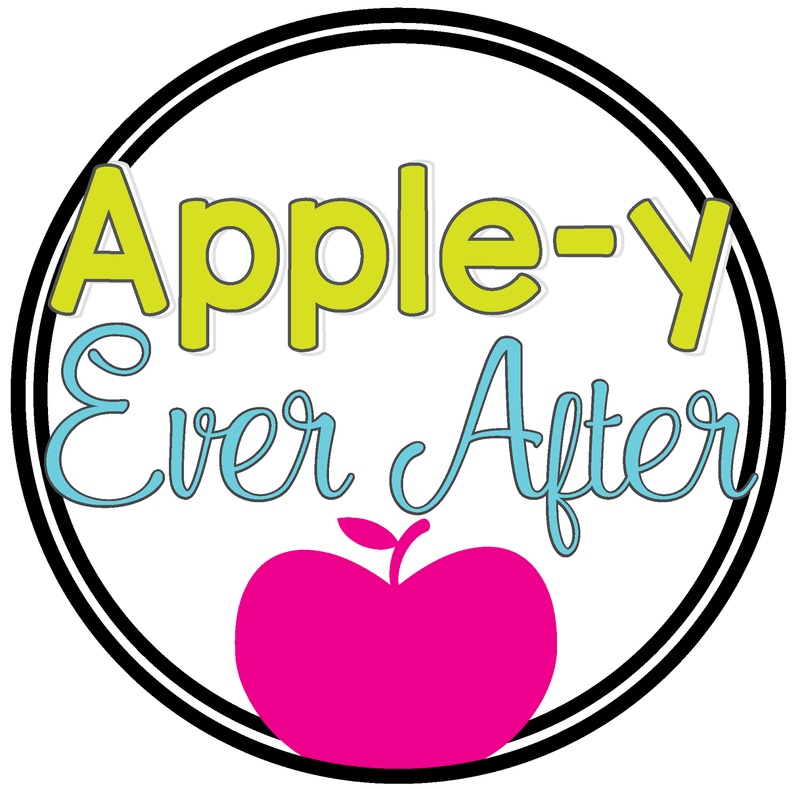 Confessions Of A Tattle Monster - Apple-y Ever After! I don't know about you, but one of the problems I had in my classroom this year was TATTLING! "So and so did this and that and the other thing." Oy. This was beginning to become a problem! Well, my friend. I didn't. 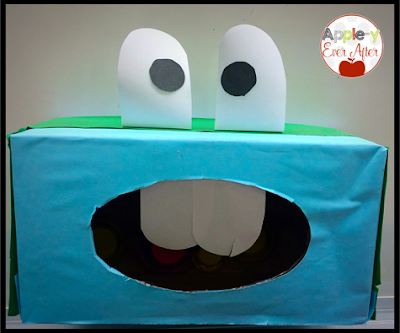 Believe it or not, I made this bad boy out of a kleenex box! It's true! He's not the best looking monster as I quickly created him on my lunch break. Though, he does the trick. 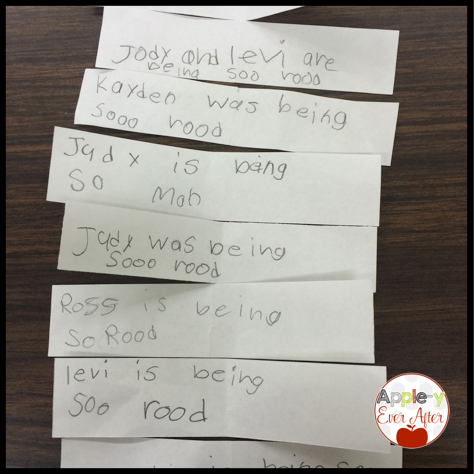 --Typically these are problems that I want them to use their words to sort through. 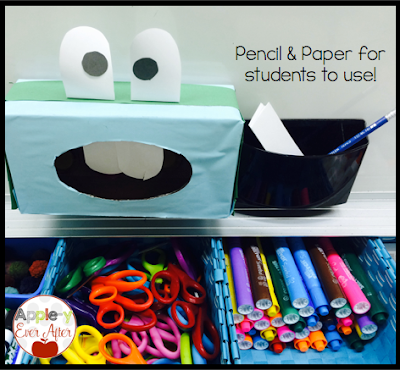 However, if they cannot sort through it, and I am busy with a student or something, I encourage students to feed their problem to the tattle monster so that they can continue on with their work, and they aren't disrupting my teaching with their big problems. 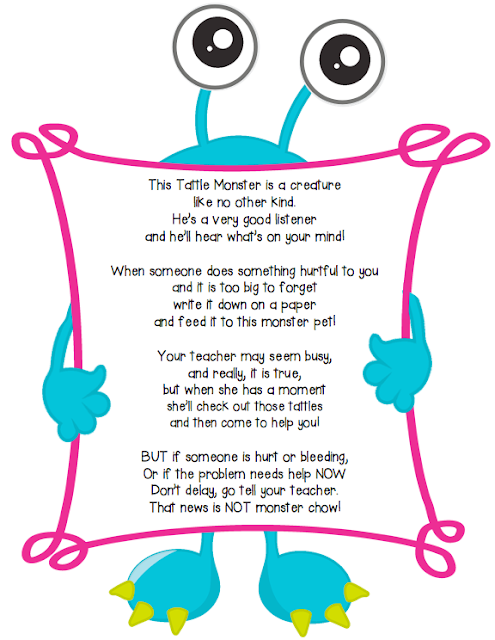 Once we go through a few scenarios in which students will have to think about 'is this a big problem that my teacher needs to know right now, or a problem that she can solve later' we introduce the tattle monster. 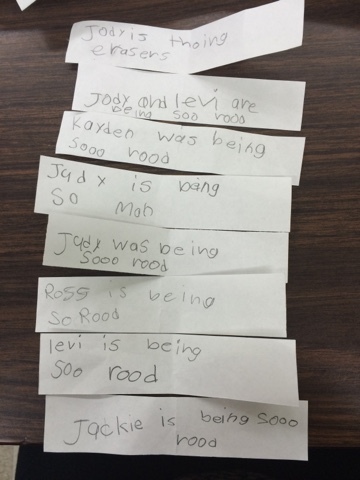 Once we read the poem, we even named him. That way if a student starts to tell me something I'm too busy to deal with, and it isn't urgent, I just say "go feed Pete that tattle" and off they go to write it down! 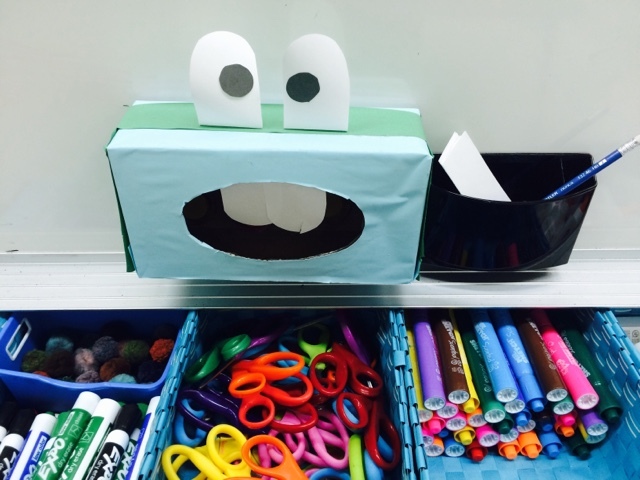 Today, I finally emptied out my tattle monster after a couple weeks, and apparently one of my students is offended by rudeness! LOL, I may need to teach her how to spell rude*. 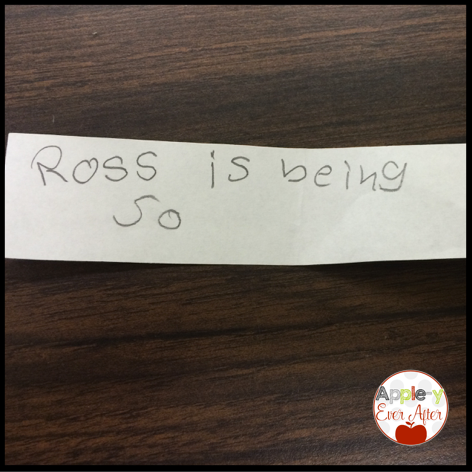 Any guesses what this one was going to say? Haha, I hope you enjoyed this post. Feel free to download my 'tattle monster' for free HERE!